Is there anything more fun than making your own salt dough ornaments for Christmas? These handmade ornaments have that old fashion Christmas look and make great gifts for friends and loved ones. 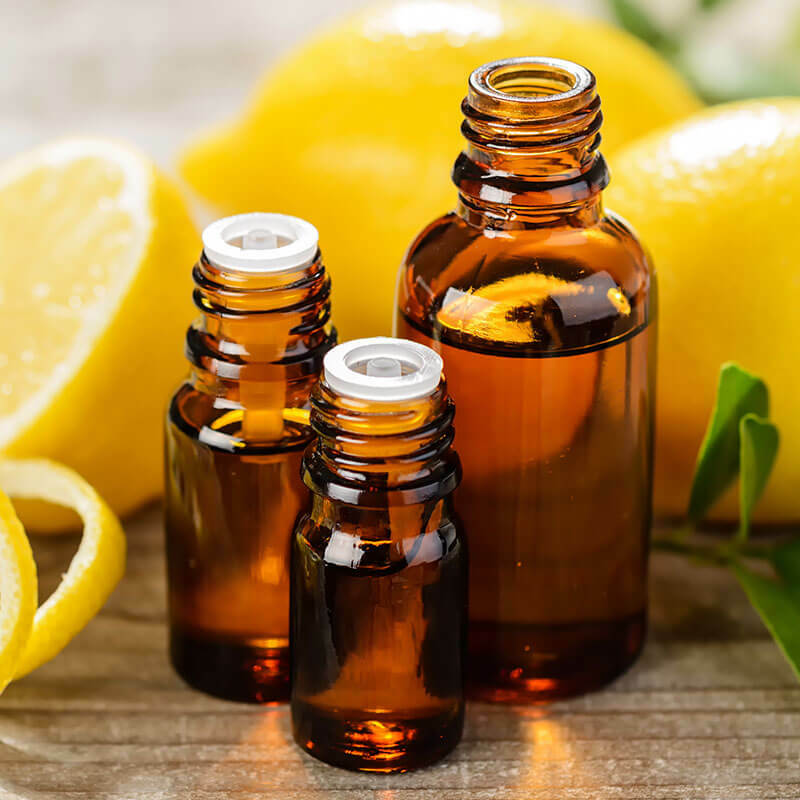 Drop on a few essential oils and they can be used beyond the holiday season as air fresheners, or you can tuck them into your drawers for amazing smelling clothes. 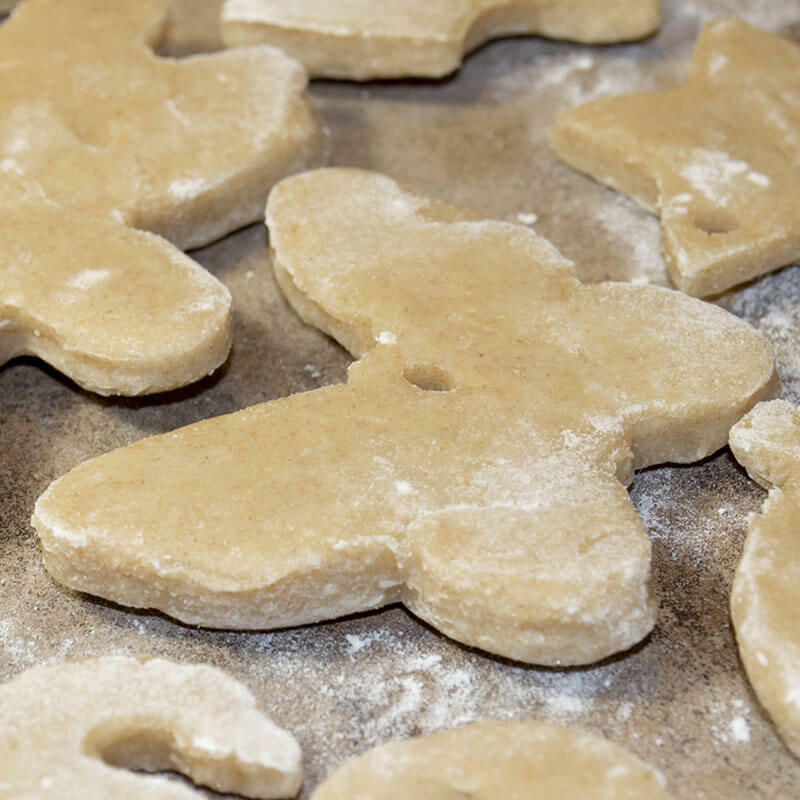 With just three ingredients, these salt dough ornaments take just minutes to make. Granted they have to dry for a few days or bake on low heat for a couple of hours, but the actual time to create is about 20 minutes. Because no one is consuming these, we used cheap salt and bleached white flour for the most affordable, whitest ornaments. Now, some people want them really white and add white acrylic paint. But, we like the old fashion ivory ornaments, so we used only flour, salt, and water in our salt dough ornament recipe. I’ve also seen numerous recipes that use a lot less salt, and I’ve made those before. But using equal amounts of flour and salt means your ornaments end up super sparkly from all that salt! I like sparkly. Combine flour and salt. Knead in water till well mixed and not sticky. Roll out to ¼” and cut with your favorite cookie cutters. Place on an ungreased cookie sheet and poke holes with a straw. Bake at 250 degrees for 2-3 hours. Or let dry on a sheet for a couple of days. You can paint with acrylic paints if you like, but we like to hang them plain, scented with a few drops of peppermint essential oil! 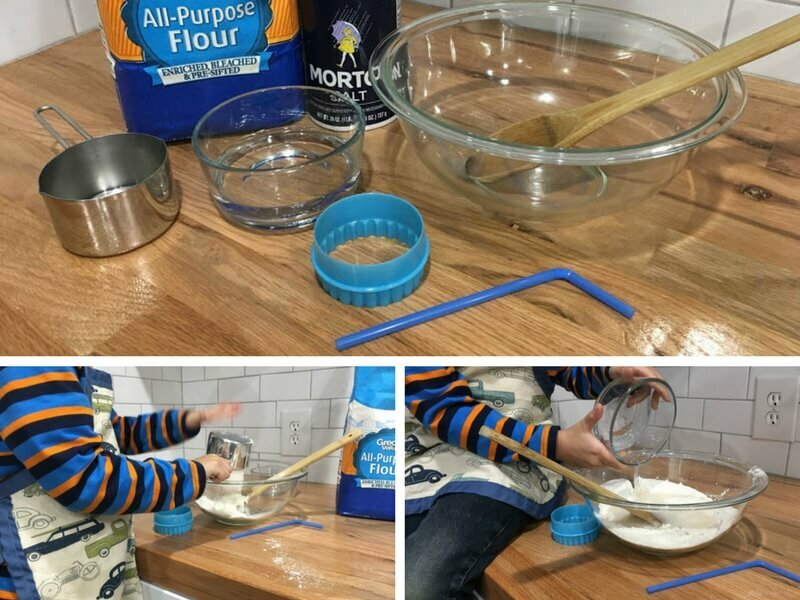 Combine the ingredients in a mixing bowl, mixing the flour and salt before adding the water. 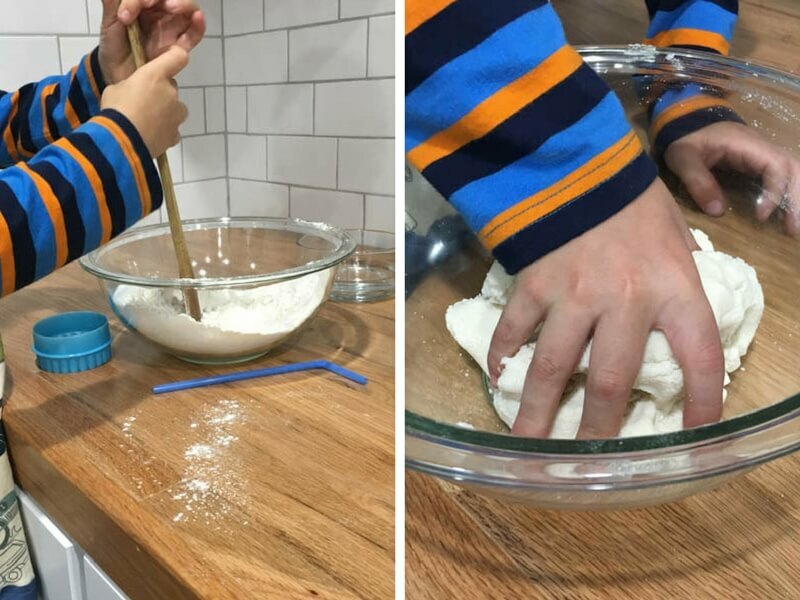 Knead the dough till combined and not sticky. Roll out to 1/4″ thick and cut with your favorite cookie cutters. You can then decorate with a fork or toothpick, and poke holes in the tops with a straw if you intend to hang the ornaments. Bake at 250 degrees for 2-3 hours till hard. Let cool, then add ribbon or string to hang your ornaments. 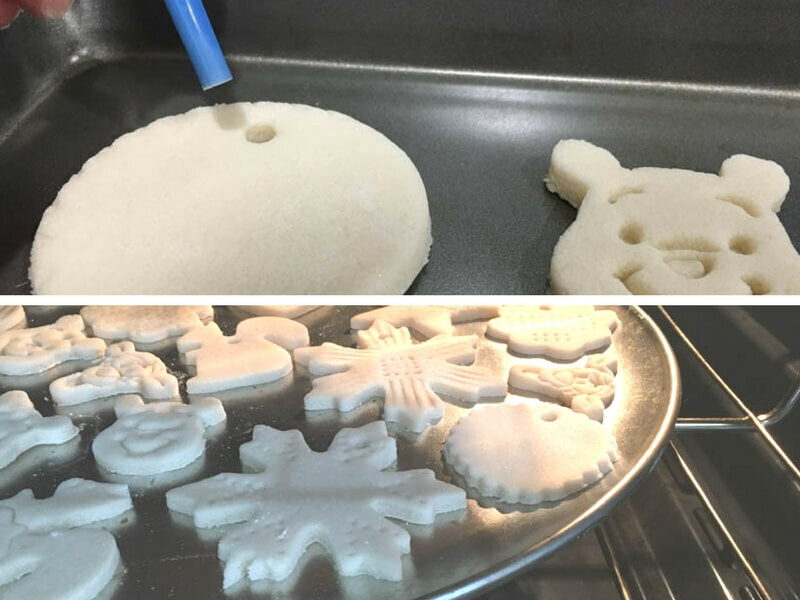 Want to Make Your Salt Dough Ornaments Smell Good? Put 3-5 drops of your favorite essential oils on your ornaments! 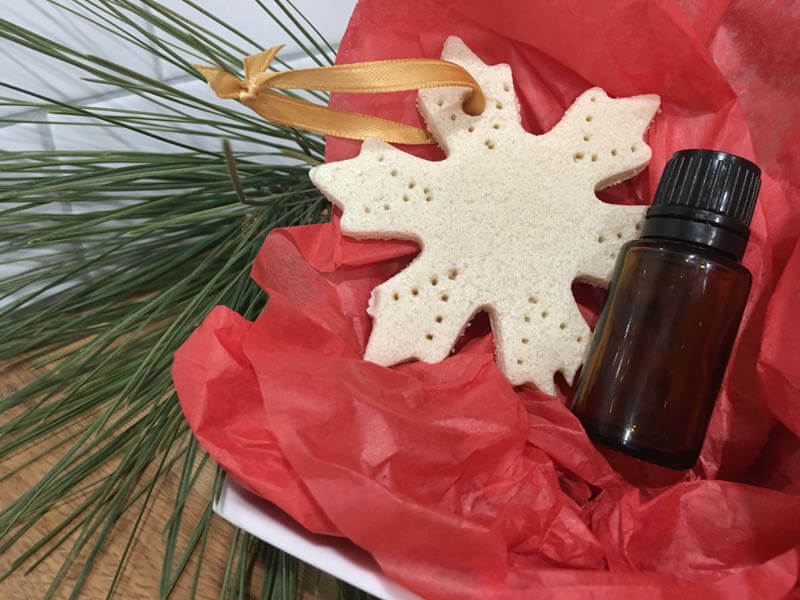 We like cinnamon essential oil, or peppermint oil best, but a good holiday blend is awesome too! 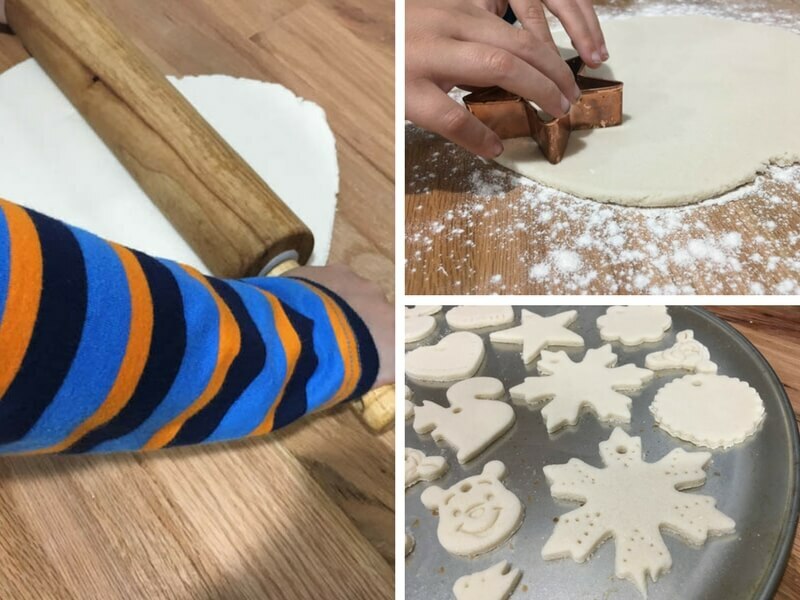 Have you ever made salt dough ornaments? Looking for a quick and easy DIY hand sanitizer recipe? Make a few bottles of this spray hand sanitizer to carry in a purse, a vehicle, and in a baby's bag. There's no other way to describe this blend of essential oils.. It's a heavenly scent! 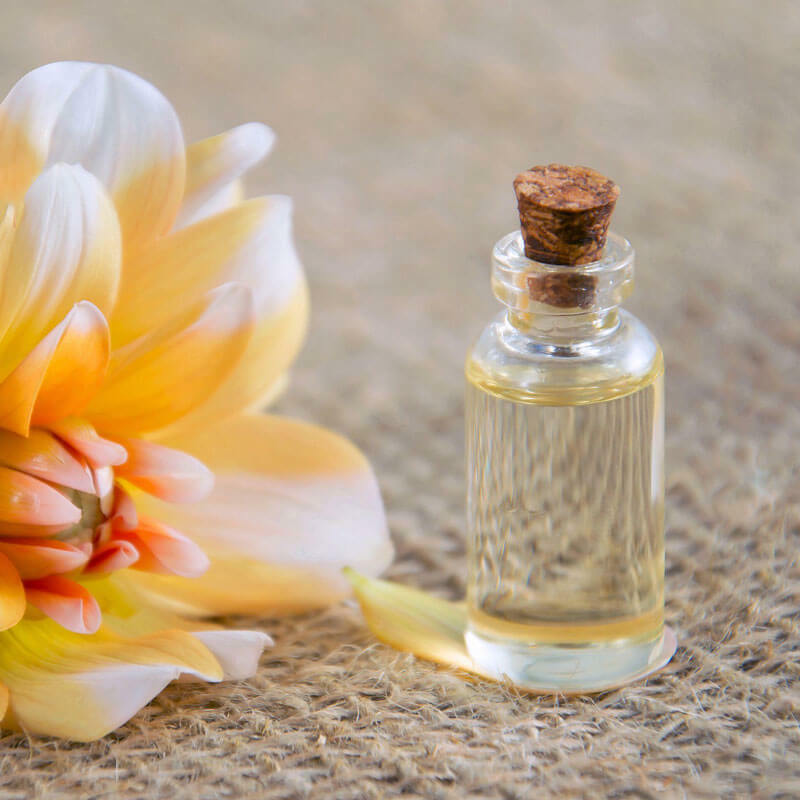 Use this diy essential oil spray as a perfume or a room spray. 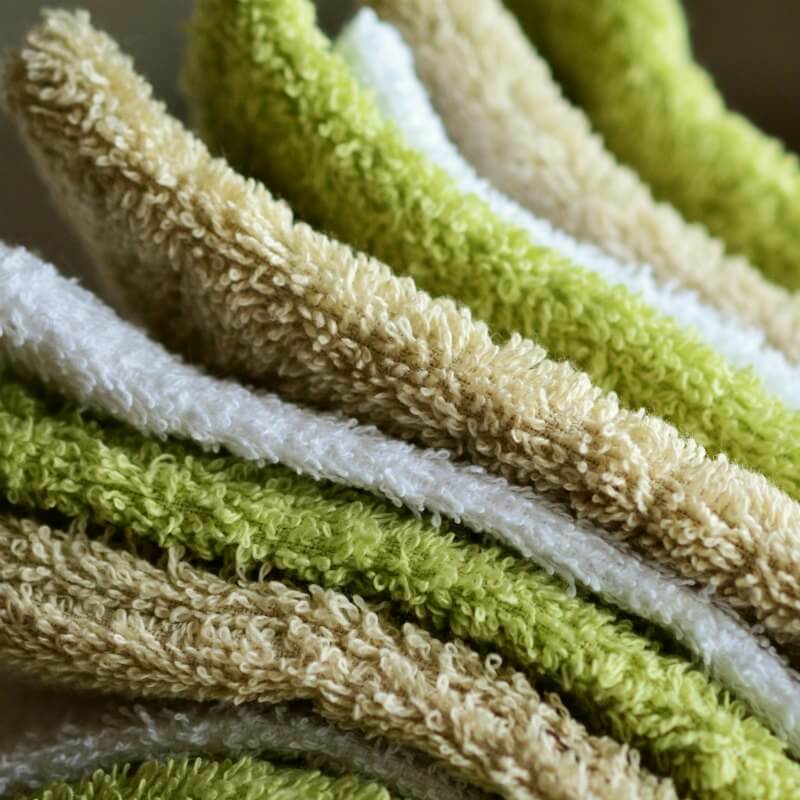 Need to get the shower clean, but don't want to use harsh chemicals? 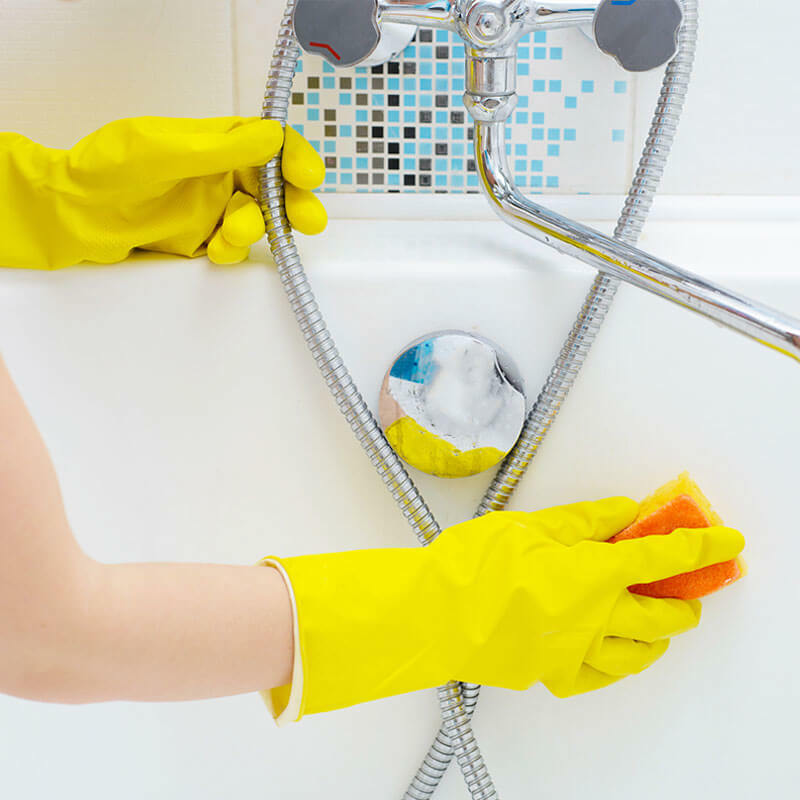 This homemade shower cleaner utilizes oxyboost for stain fighting power! These spring diffuser blends are the best essential oil scents for spring and will bring spring indoors! 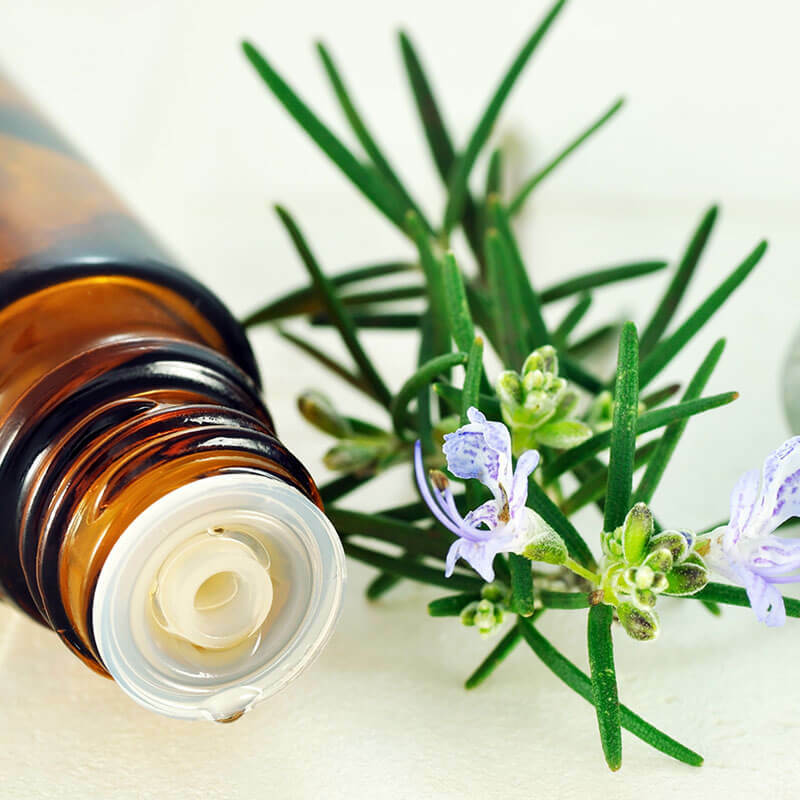 Enjoy these essential oil scent recipes! This DIY not only creates the perfect homemade heavy duty cleaner with essential oils, and includes reusable wipes you can feel good about cleaning with! 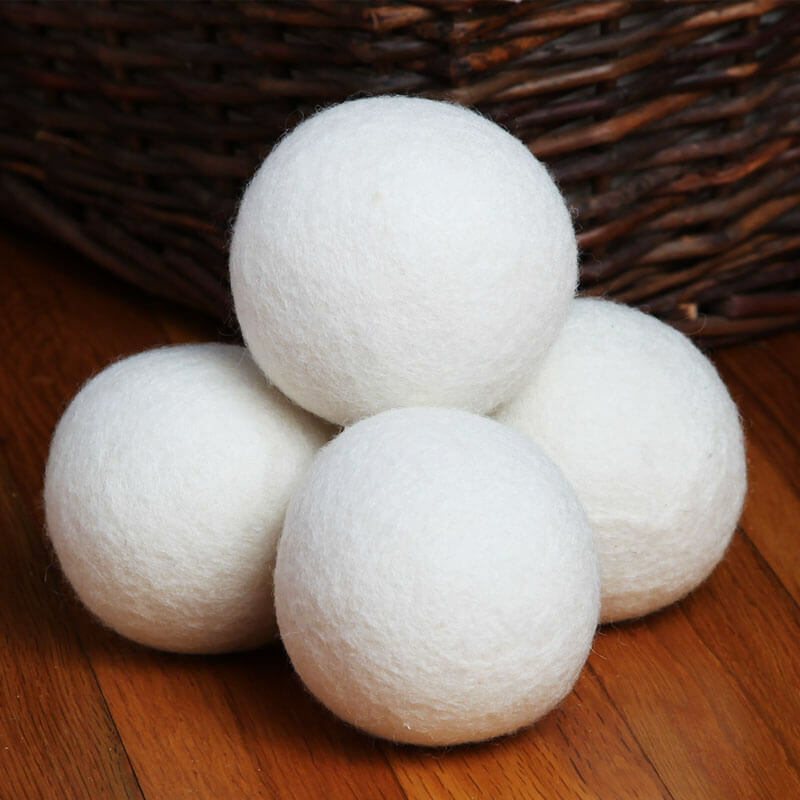 This DIY will show you how to make wool dryer balls to replace one of these sources of toxins in your home - toxic laundry chemicals. Yikes! Here is a homemade oven cleaner that works to get all the mess out and make your oven walls shine. 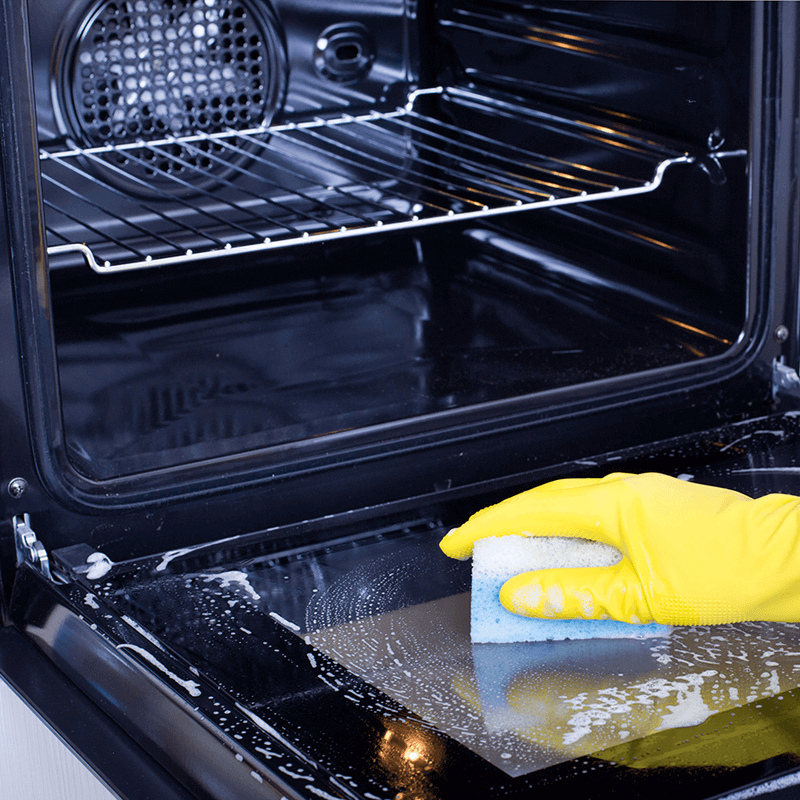 By keeping your oven clean you will help it be more efficient at reaching the temperature you want; and you'll extend the life of your kitchen appliance. 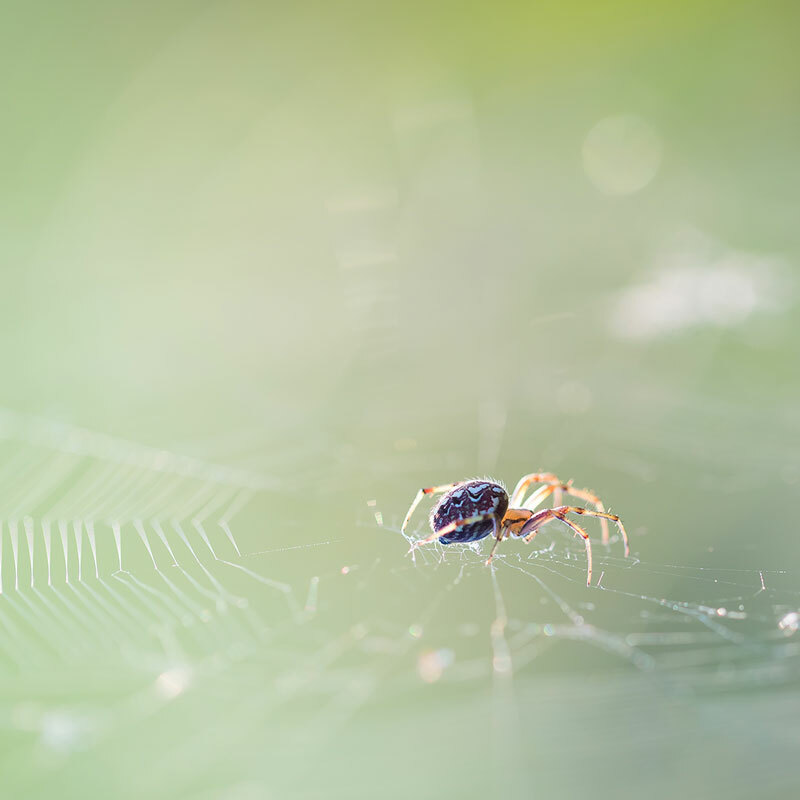 This homemade spider spray recipe is an easy to make solution that you can use all around your house, even where a baby crawls. It is all natural and can be as simple as putting 2 ingredients in a spray bottle.